Nachos!! I can NEVER turn then down ha ha. 3. Where would you go on your dream vacation? I would love to go to Hawaii and see all the beaches and waterfalls and spend every evening watching the sunsets relaxing. I honestly love my job as a nurse, growing up I always wanted to be a veterinarian but after working in my career now I think I have definitely found something I love. 5. What is your favorite CrossFit workout? My favorite CrossFit workout is definitely anything to do with running, burpees, box jobs, and squats. I’m not the best at lifting heavy weights so doing more cardio exercises are what I love. 6. Anything else you’d like to tell us? I have been a part of CrossFit Dover for almost 4 years now and I was so happy when I found this amazing place. Growing up, I was always a part of a sports team or cheerleading for one. In college, and after, I coached cheerleading for 7 years. 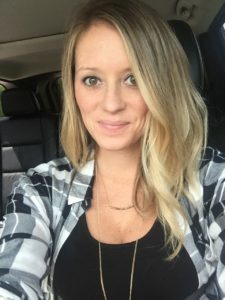 When I started my nursing career, I had to give it up; starting CrossFit made me feel like I was a part of a team again and since then has been something that has always been there for me. I’m so lucky to have found this awesome community!